Apr 30, 2017: Any way to play video on TV and audio through laptop? May 24, 2017: Which is the better bluetooth earbud: J&amp;L 103 or Anker Soundbuds Slim? May 29, 2017: can anyone recommend me some blue tooth workout headphones i can use at the gym? Sep 10, 2017: Budget Wireless Headphones? Sep 11, 2017: Which one should I get? Oct 10, 2017: What is your plan for headphones with the new pixel? Nov 05, 2017: Any recommendations for a good set of bluetooth headphones? Nov 15, 2017: Power tool noise solution? Dec 20, 2017: Please suggest an in-ear Bluetooth headphone under Rs 5000. Dec 21, 2017: Apple has stated that it slows down older iPhones, and through Google trends it is clear that people search more for "iPhone slow" around the release date of a new iPhone model. 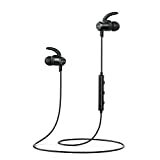 Jan 16, 2018: Looking for "the best" inexpensive Bluetooth earbuds for my Pixel 2 XL. Jan 26, 2018: Bluetooth Audio Delay - AptX Is The Solution? Jan 29, 2018: Manspreading isn’t even half as bad as this. Apr 26, 2018: Wireless headphones or earbuds, and what brand should I get? Oct 14, 2018: [WEEKLY THREAD] Style and Shopping Saturday - gym clothes/makeup/hair/skincare and killer sales! Dec 16, 2018: which earphones should i choose?? Dec 18, 2018: which of the following should i chose? Jan 06, 2019: Favorite headphones while working out? Feb 27, 2019: [question] Does anyone have any tips on how to lie on the side of your head comfortably with earbuds in?